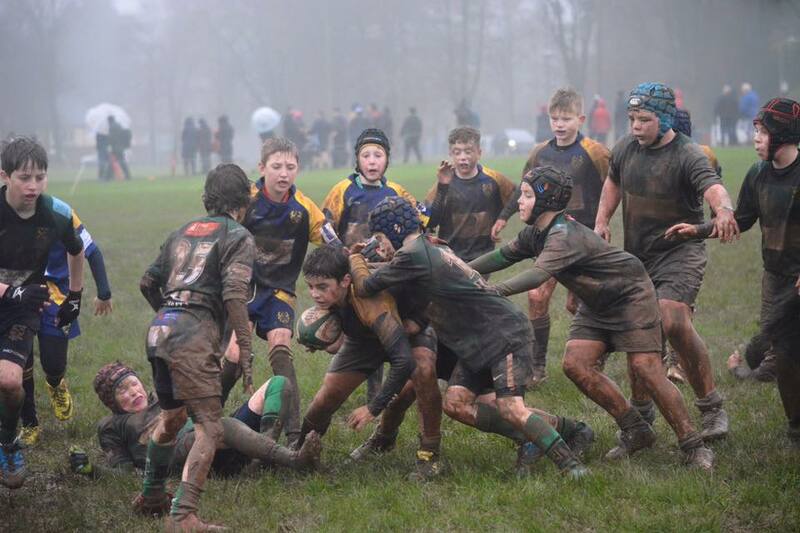 Those balmy days of September and October are now a distant memory as the rain has ravaged the middle of the rugby season. 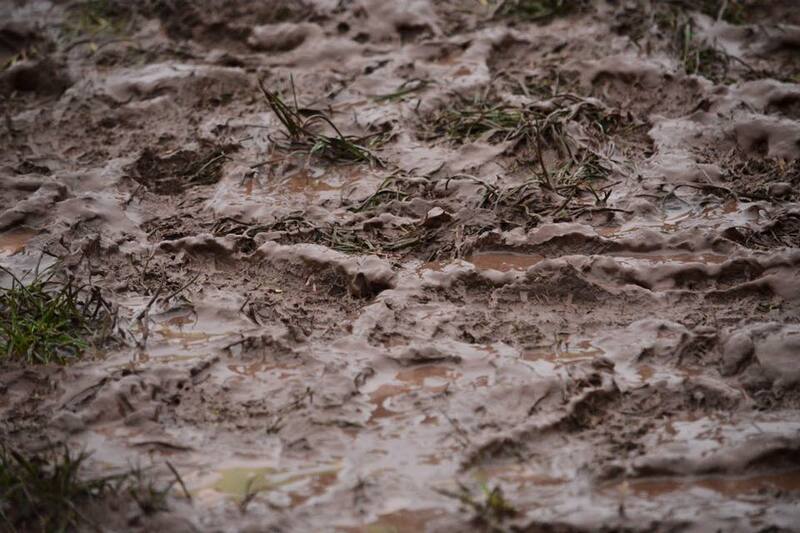 But with fingers crossed and a couple of days without rain, we were hopeful that the match would be on at the common in Dinas. When we arrived, the pitch looked quite decent from a distance, but the early morning fog had given way to a persistent rain and a freezing cold wind. Still the boys seemed happy enough to have a game again and so we got on with it. 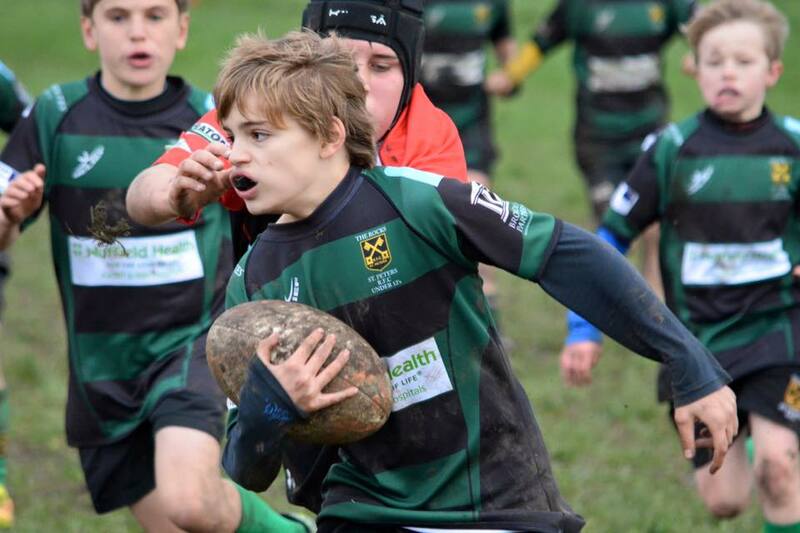 From the first whistle, the Rocks seemed to be right up for it as they quickly showed their silky handling skills even in the atrocious weather conditions and were soon pulling Dinas one way then the other before scoring a great try out wide. 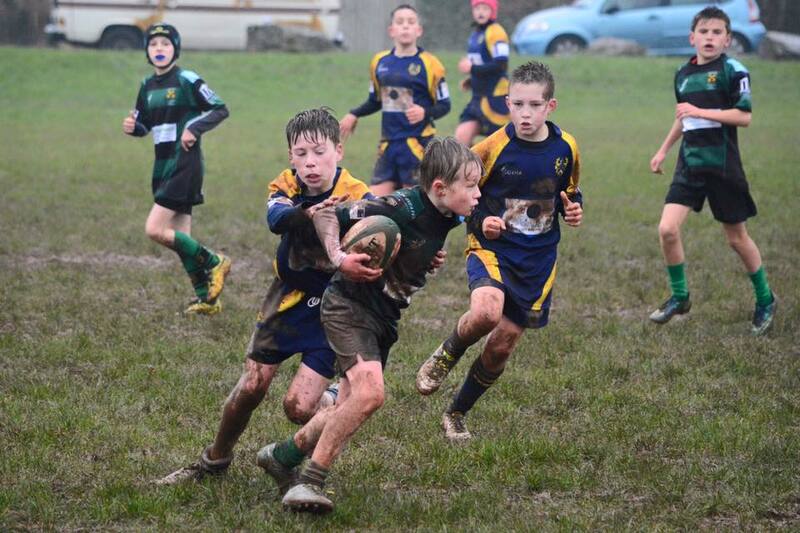 All seemed to be going to plan, but as the ball started to stick in the mud and the boys did too, the momentum started to switch towards Dinas. Dinas have always tended to play up the jumper rugby, and if there was ever a day to use those tactics, then this was it. 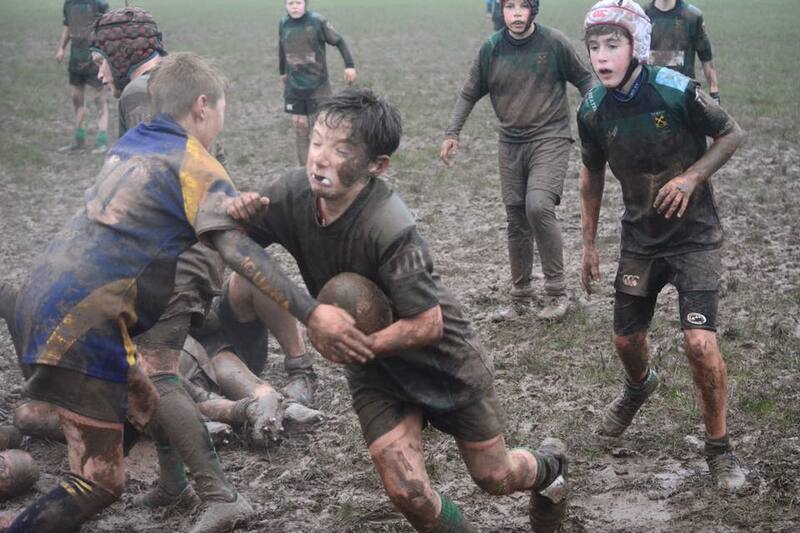 The conditions can be a great leveller and as the pitch got boggier and boggier, the boys got colder and colder. 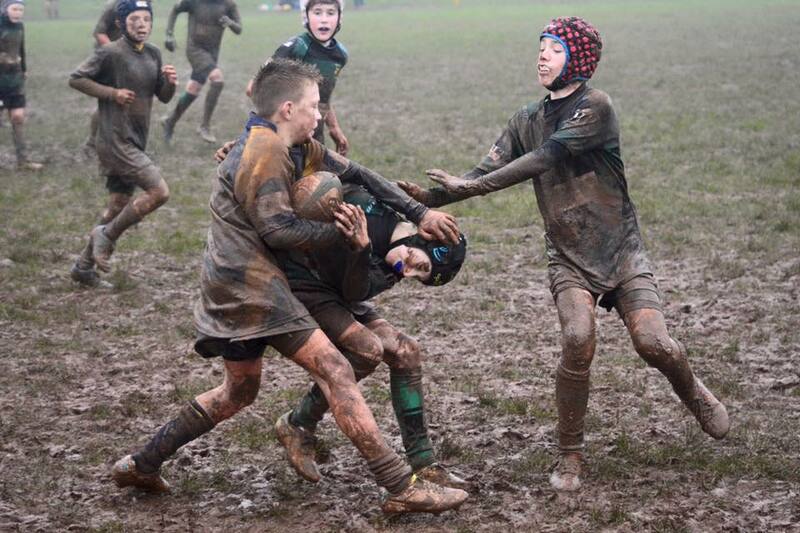 Soon, our silky handling skills were all gone as the boys could no longer feel their fingers and the game degenerated into a slugfest mudbath with some loose interpretation of the rules at the breakdown and the maul. The game was played in good spirits, but Dinas seemed able to keep the Rocks pinned back and waited for the inevitable errors that were caused by the conditions. They stuck to what they do best and it paid off as the Rocks failed to get their hands on the ball for most of the second half. You couldn’t help but be a little disappointed today as we’ve been having such a good season thus far. 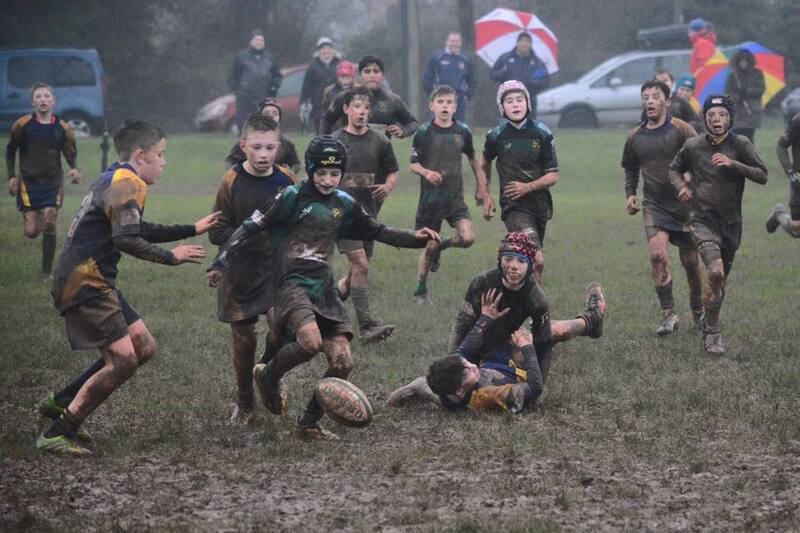 On a dry track I’m fairly confident that the result would have been quite different – we know that we beat Dinas comfortably back in the district tournament, but rugby is a winter sport and so you have to be able to execute game plans in the wind and rain and mud as well as in those hazy days of an Indian summer. There will definitely be some tackle practice heading the boys way as they all seemed intent on tackling high and simply getting handed off for their trouble. Still, I’m quite confident that the boys will have learnt a lot about game management and the amount of effort it takes to raise yourself above the conditions in order to grind out a result. These are the kinds of games where sometimes you learn the most about yourself and can pinpoint where you need to improve next time. The boys were too cold to be bothering with MOTM trophies as they all struggled to get warm and dry, but whilst there weren’t many great performances today I thought that Jack(theleader)Lock stood out again for his tireless effort and never say die attitude and Cay(thejackal)Day also had a great game giving away a lot of bulk to the Dinas forwards but was relentless in his tackling and pursuit of the ball. It was a long old treck for the Rocks wagons today as we headed up into the hills to play Brecon in the second round of the Blues Cup. The weather was cold, the pitch was soggy, but playable and the welcome was warm. 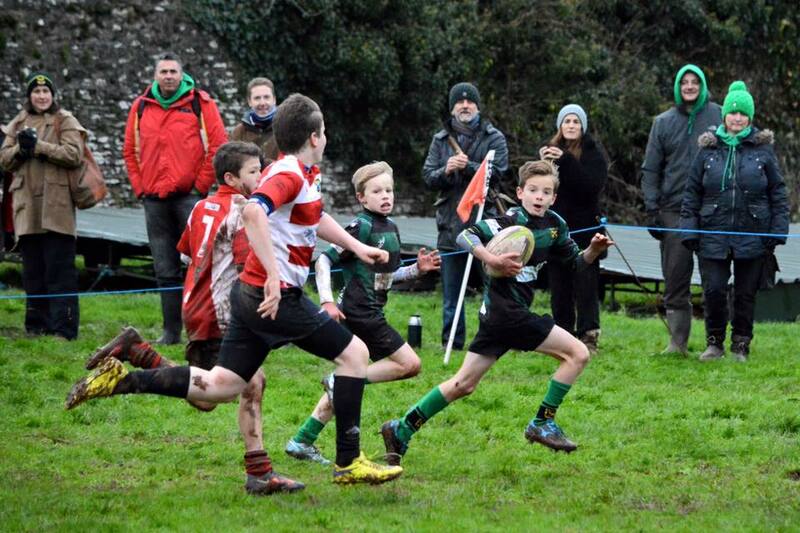 Fortunately, the boys were warm too and seemed in pretty high spirits after their victory against Ponyclun last week. Brecon only had 13 players to begin with, but a late arrival soon had us at 14 a side. 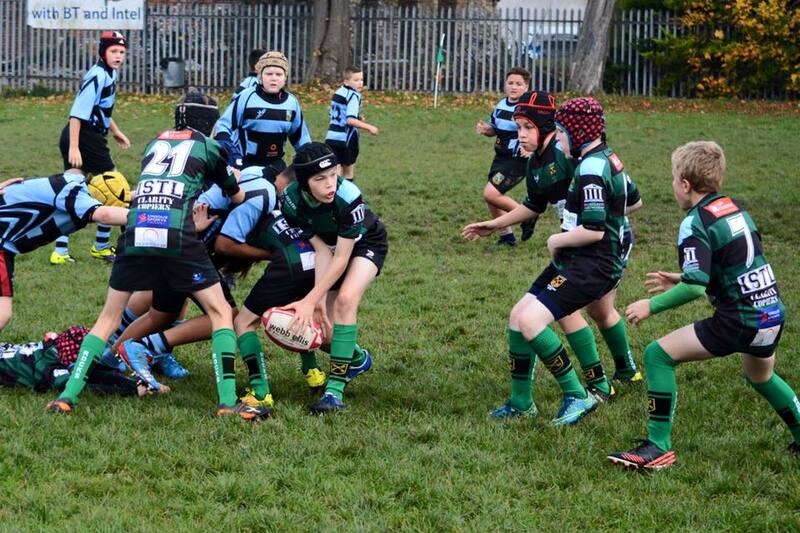 The Rocks started strongly with both forwards and backs on it from the first whistle. The forwards hit hard and won the breakdowns time after time creating loads of turnover ball, which the backs were only too happy to exploit. Before long, the Rocks had opened up an unassailable lead and by half time were 33-0 ahead. There was a clear gulf between the sides today, although I do think the scoreboard flattered us a little. Brecon certainly had a good few players, but when you go a few scores behind early it is difficult to raise you game when the opposition have their tails up. All in all it was a very satisfactory performance today with the boys now through to the quarter finals of the Blues Cup. We should hear about the draw in the new year with the next fixture to be played in March I believe. Today’s MOTM was a team award as we couldn’t really pick out any individuals with all the boys playing well. It was such a long time ago that played this I can barely remember what happened, but will update the scores and stats for completeness. I do remember that this was a tough game and quite tight, although the Rocks seemed to have have the edge in most departments. 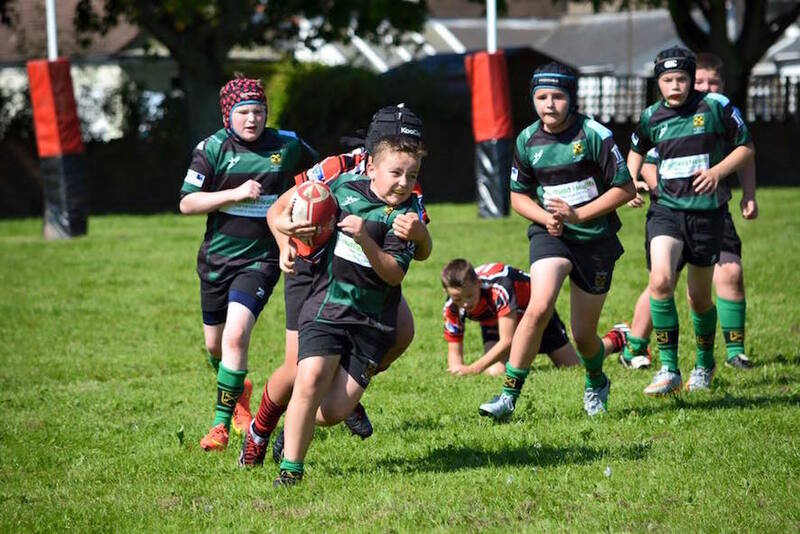 Pontyclun took the lead early on following some good play from the Rocks, but the boys stepped on the gas and were half a yard quicker around the park. This gave us the chance to find a little space out wide, and Zac doesn’t need much encouragement to turn on the afterburners and score our first taking us in to half time with a narrow 7-5 lead. I do recall that in the second half we scored two of the best tries I’ve seen us score with Dan hitting the line from full back with perfect timing to shred the defence and then the rest of the backs taking the ball at pace and making use of our speed out wide, but cleverly moving out then inside with some awesome support running to finish things off. This was a really great performance by the boys against very good competition. It was very difficult to single players out as it really was a great team performance across the board with everybody playing their part. Harri(supercharger)Page for a really feisty and competitive performance. Be careful what you become blasé about. The last report was all about 20 degree heat in November, but what a difference a couple of weeks makes. Having had two games cancelled for bad weather, it was great to be able to blow off some cobwebs on a glorious, sunny but cold. 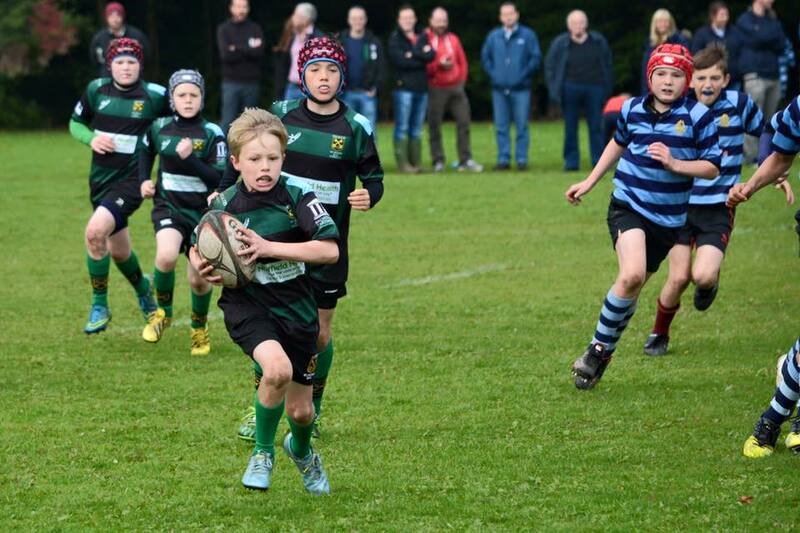 We welcomed Cowbridge to the Harlequin for our match this morning. We know them to be a good side with plenty of speed out wide. The boys were all eager to play, but in the past we seem to have suffered from a certain hesitancy when we haven’t played for a little while. That certainly wasn’t evident in the opening ten minutes as the Rocks came out of the blocks firing on all cylinders. 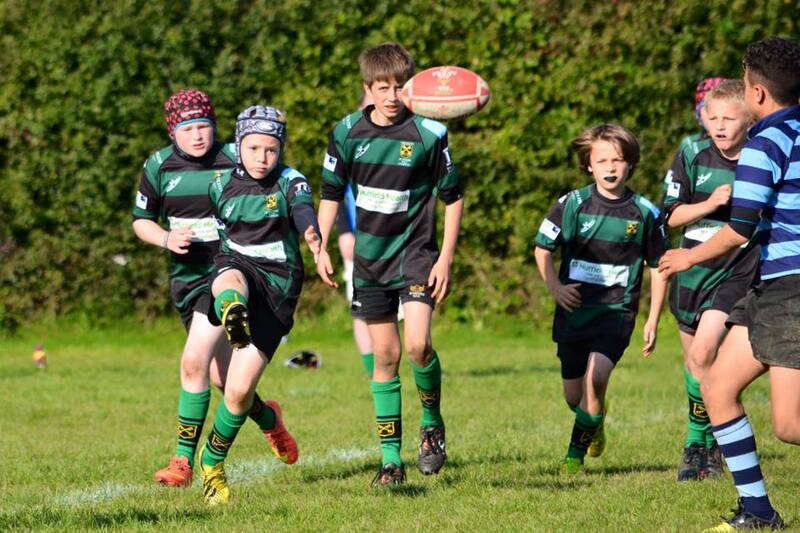 The boys seemed rampant and were half a yard quicker than Cowbridge to every breakdown. The forwards were eager and smashed their way through to set up an opportunity on the left, only for the final pass to be knocked on at the crucial moment. This was a decent performance by the Rocks, with some excellent play, but it just showed that a small drop in concentration and intensity can change the dynamic of a game. 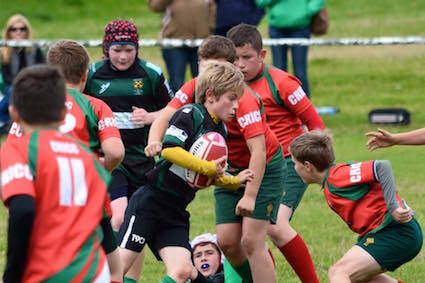 One more score at the outset and the I suspect the game would have been beyond Cowbridge, but we often learn more from our defeats than victories so I’m sure this is one of those that the boys will think back on the next time they have a bright start against good opposition. Today’s MOTM was awarded to : Efan(duracell)Hoogendoorn for a great all round performance, with loads of go forward. Its almost getting a little predictable now, but guess what – it was another glorious morning with forecasts of temperatures heading for 20 degrees…. in November! 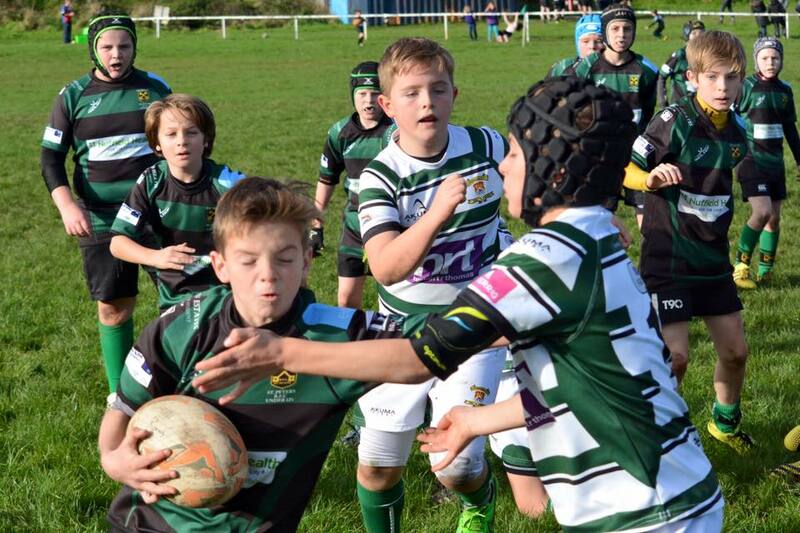 Today we welcomed a strong Rumney side for a local derby game where many of the boys know each other well as they attend the same schools. A formal MAMIL warning was issued as the ref (yes that’s me) headed onto the pitch (that’s Middle Aged Man In Lycra for those who don’t know!) and following a quick chat, the thunderer was blown and Rumney kicked off. Zak caught the ball from the kick-off and turned on the speed down the left side as he nearly broke through straight away. This start got the boys going forward straight away and pretty much set the tone for the match. The Rocks were assured and controlled at the breakdown with the boys learning from last week and making sure they got to ground early to recycle the ball. 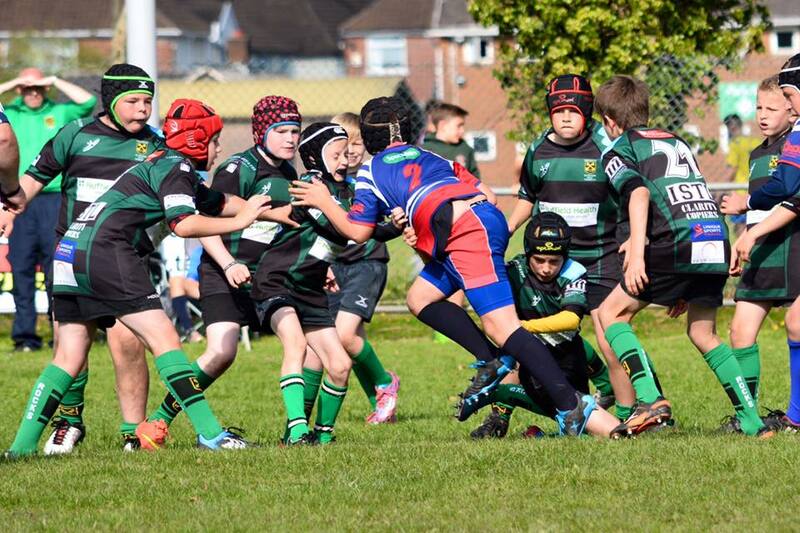 It worked a treat and we were soon putting pressure on the Rumney line where another series of rucks led to Jack bursting from the base of the ruck to score. It was a case of déjà vu from the kickoff as the ball again went to Zak who again nearly broke through. 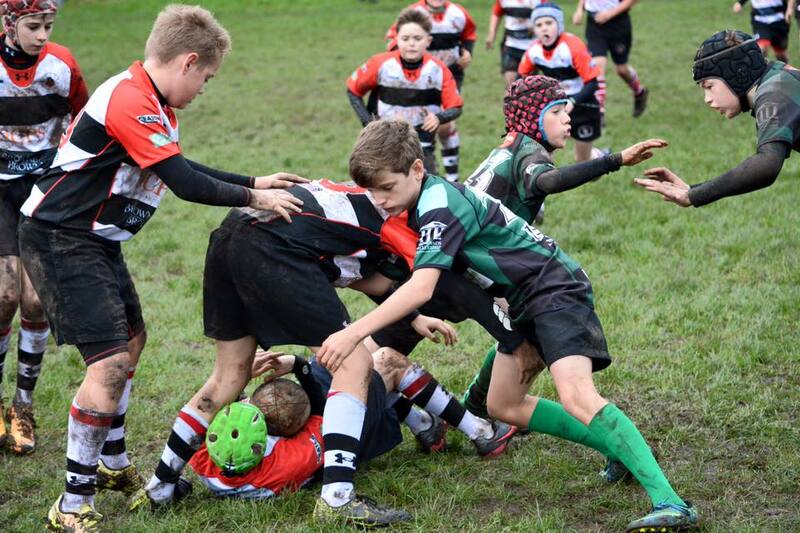 Rumney fought hard at the breakdowns and it was a great competition all over the park, but the Rocks were on top as all the rugby was being played in Rumney’s half. The Rocks won a scrum just inside the Rumney 22 and Efan picked up from the base and with a turn of Hoogy speed made a beeline for the tryline to score the Rocks’s second before half time. Rumney stepped up their efforts in the second half, but the rocks’ defence was eager and the rush defence was incredible. Time and again, Rumney were under pressure 10 yards behind the gain line and the Rocks forced the errors. The forwards started to pick and go again, and Jack again picked up and charged over under the posts for his second try of the day. The boys were enjoying themselves now and started to try some training ground moves, many of which were quite successful. The final score came following another period where the Rocks had Rumney pinned back in their own 22 for a while, when the ball came to Harry from a turnover and he decided to pin his ears back and find a way through the heart of the Rumney defence with another of his trademark jinky runs to score under the posts. Nevermind sticking it up the jumper, I’ll carry it between my legs….. This game was a complete contrast to last week. Last we won by sheer determination despite a fairly lacklustre performance, but this week was one of those vintage performances where we were able to dominate all aspects of the game. The forwards bossed the breakdown as they got to the floor almost every time in contact and won more turnovers than a Greggs lottery winner (if there was such a thing). The backs had great hands all day and had the confidence to try training ground moves in the second half, and seemed able to break the Rumney line time and again. The defence was immense again, and the pressure put on the Rumney backline was relentless and forced the mistakes deep behind the gainline. But, its consistency that we’re looking for, so lets hope we can take the good points from this week and last week to take forward to the next few games. Today’s MOTM was awarded to : Joe(anywhereinthebackline)Connolly for a great all round performance, particularly after stepping in to cover at scrum half. Everybody to be honest. The MOTM was almost awarded to the whole team since it was really difficult to pinpoint particular performances amongst so many who played well, but I felt that Efan, Taylor and Jack had really good games today. Yet another glorious autumn morning for rugby, and without wishing to jinx things, I don’t believe we’ve played rugby in the wet once yet this season – cant fault it! Today we welcomed the blood and blacks over from the wild west frontier of our district. Llantwit seem to have had a good start to the season, having beaten Llandaff last week in their Blues cup game, but they came over today apparently with a good few first choice players unavailable, what with half term and all that. The Rocks were in a similar predicament with two long term injuries, one nuisance strain injury, a selection away on their holibobs and a few late drop outs with colds we were down to the bare 15 players. With only 6 forwards available, we ended up with a couple of novice backs on the flank, so it was certainly going to be a challenge. If I can’t see them, they can’t see me…. The Rocks got off to a good start and after some good work up the middle, shipped the ball out toward the left wing where Zak finished off a sweeping move out wide to get the scoreboard moving. Llantwit came on strong from the kick off and pressured the Rocks defence, following a great turnover, the ball was swept left again, but in our own 22 this time. Again the ball reached Zak with a bit of space in front of him, and he turned on the afterburners as we know he can and sped up the line – there was no catching him. Llantwit hit back just before half time with a try of their own, but the boys kept going and almost scored another on the whistle as Gwydd ran in behind the posts from nearly halfway, only to be disappointed that the pass had gone forward. Major were definitely back in the game at 12-5. At the start of the second half, it was clear that Llantwit had nothing to lose and so they threw everything at the Rocks, who dug deep and managed to keep them out for quite some time, despite some lacklustre tackling. 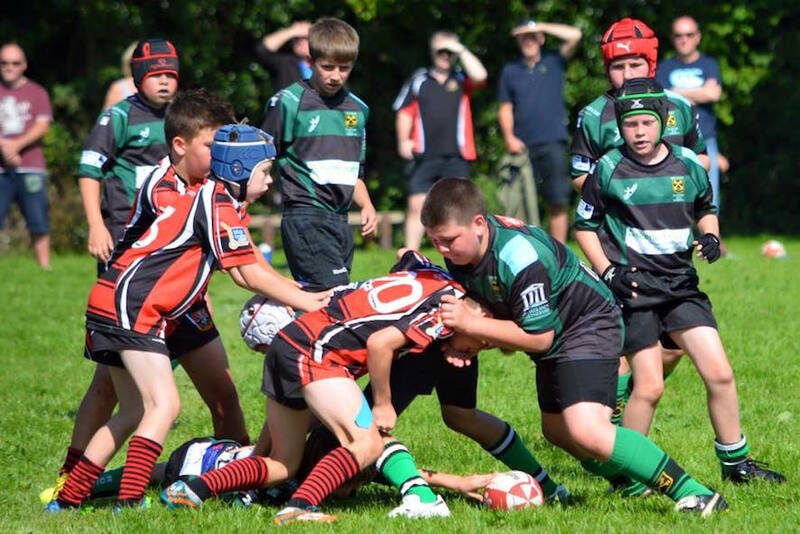 The defensive work was taking its toll, and three of the boys were down injured in quick succession – it looked like we suffering the same fate as Wales in the world cup. We were down to 14 men and the scrums went uncontested and Llantwit’s pressure eventually told as they scored a second try. But the Rocks dug deep, and after a small altercation, seemed to step up their desire to win as they pressed on and gained ground before Rhys eventually burst through the Major line from Joe’s path to score on the right. This was the killer blow with only a couple of minutes left, the boys dug in and held on to a hard fought win. Today’s performance was a long way from one of our best, but to a certain extent that was to be expected given the team-sheet situation. The tackling was at times non-existent and allowed Llantwit a platform in a game that the Rocks should have controlled far more tightly. Having said that, the big positive was the win. Taking the various scenarios into account, the boys really stepped up towards the end of the second half and showed a real determination to grind out the win. This was the type of game that in the past we would have let slip, and it was great to see the boys come together to fight for the victory. Today’s MOTM was awarded to : Ben(straightline)Drinkwater for taking on what had been asked of him in training and taking it to the game – a great performance. From a team performance point of view, the trophy could have been given to virtually all the players today, although a special mention goes to Efan & Jack for their effort and refusal to accept anything less than a victory. As our first foray into the Blues Cup, we were stepping into the unkown with a fixture against Abercwmboi, who we have never played previously at any age group. With no idea what to expect, the boys warmed up and then made use of the changing rooms for a little psyching up. 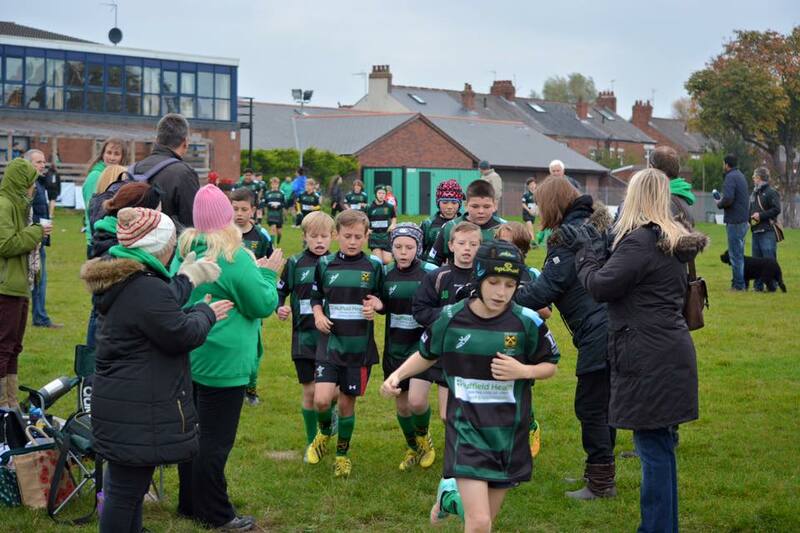 The parents applauded the boys onto the pitch, and they must’ve all felt like pro’s. Being a little late with this match report, I can hardly remember the ins and outs of the game, but I do remember we played well from the very first kick-off and had ACB on the back foot straight away. The forwards were firing and bossed the breakdown, giving the backs the time and possession they needed. The Rocks worked their way up-field and had a lineout some 6 or 7 yards from the ACB line. The forwards used a little move they’d been rehearsing in training and it resulted in Harri P darting over for the first score in the corner. The resulting restart was well fielded and the Rocks were again pushing forward. The ball came back from another good ruck, along the line and was finished by Gimmo. It was almost a repeat from the next re-start as the Rocks maximised their dominance and the forwards worked towards the line, where Cai broke free and scampered over for the Rocks third try. The build-up was fairly similar for the next score, but this time it was a pick and go off the base of the ruck from all of 3 yards that gave Tom S his try. After a half that was dominated by the Rocks, we went in 22-0 ahead. ACB came out in the second half with a bit more resolve and were starting to get their hands on the ball more regularly and making use of their very handy outside centre who was able to capitalise on some fairly soft tackling by the Rocks. However, the Rocks got their hands on the ball and Gwydd turned on the gas burners to score a breakaway try, although the swan-dive at the end wasn’t overly appreciated by the coaches. After a period of sustained pressure, ACB got their try, but by now the game was all but over and the Rocks cemented their performance with 2 late tries for Lex and Max, both very well finished after some excellent team work beforehand. 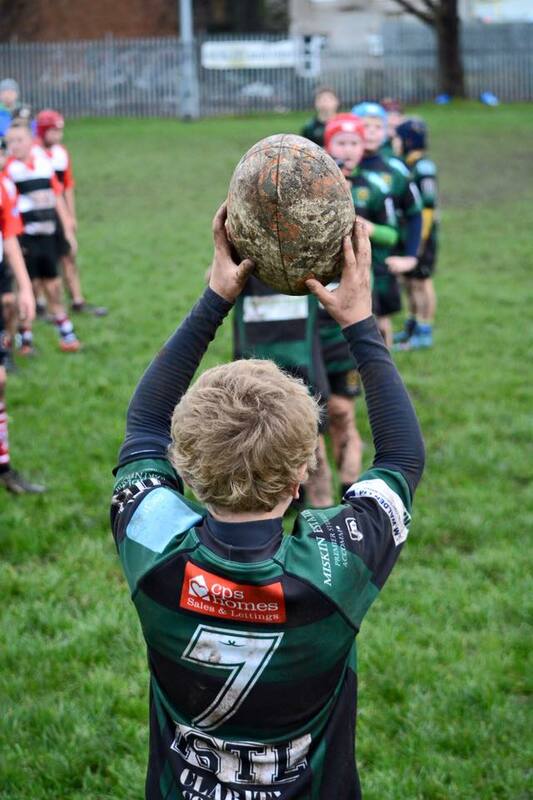 Ball not quite in two hands….. There was very little to say from the coaches today at the end of the game. It certainly wasn’t our best performance, but we were in control from the first whistle to the last. 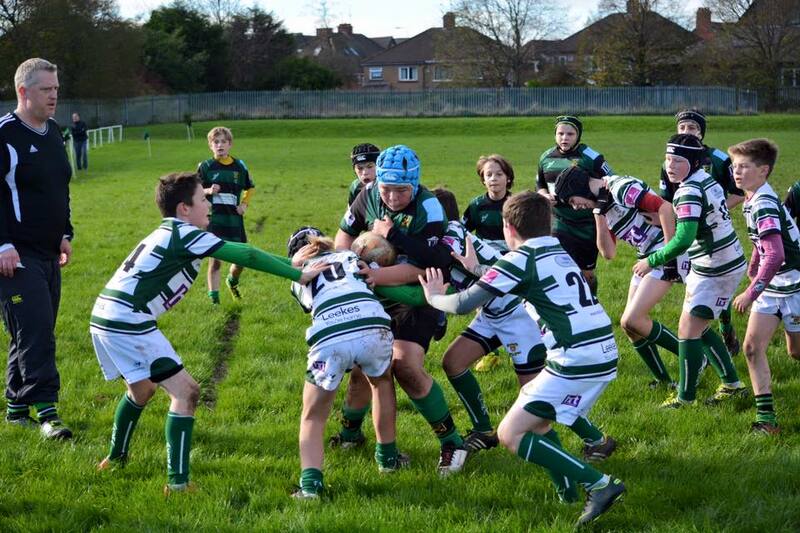 Some of the tackling was far too marshmallow-like with hands and arms being used instead of shoulders, but the boys played very well generally, the forwards in particular. Onwards and upwards, with a second round Blues Cup game to fit in before Christmas. Today’s MOTM was awarded to : Jack(daboss)Lock for a proper captains performance, leading by example. After a great effort yesterday with the sponsored walk, we all headed over to Llandaff to play the choirboys. 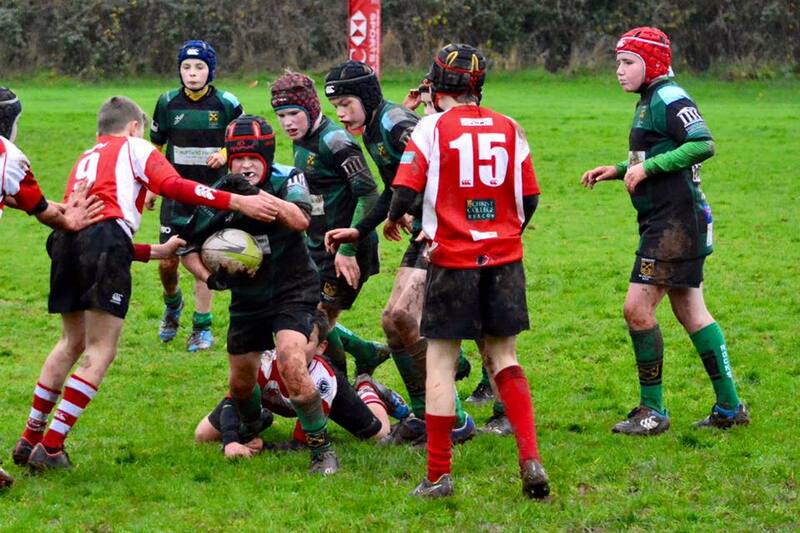 We all know well enough how strong a side Llandaff are, having had that epic stalemate match in the semi final at the recent district tournament, so it was always going to be a close call. Our numbers are currently a little depleted by a couple of long term injuries and a few others that dropped out last minute. This meant we warmed up with only 8 forwards available, but with a full compliment of backs. 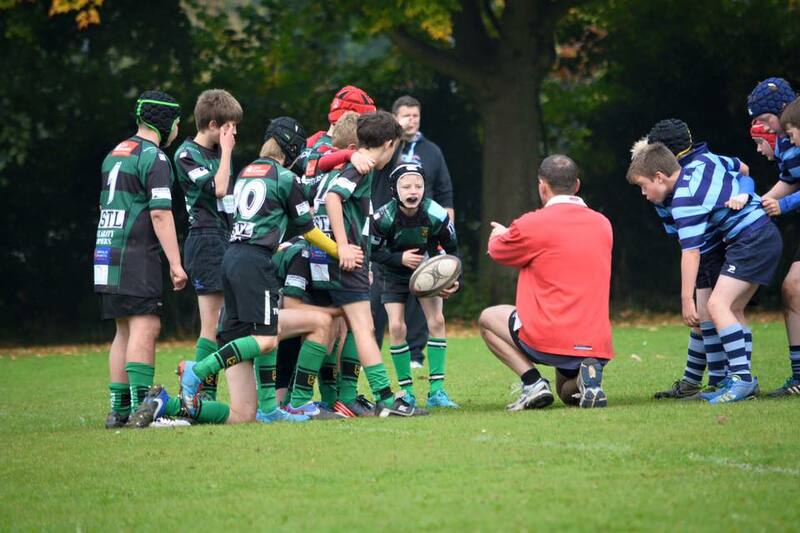 Having experienced some particularly challenging refereeing decisions at last year’s fixture, the coaches were more than a little wary ahead of this game. 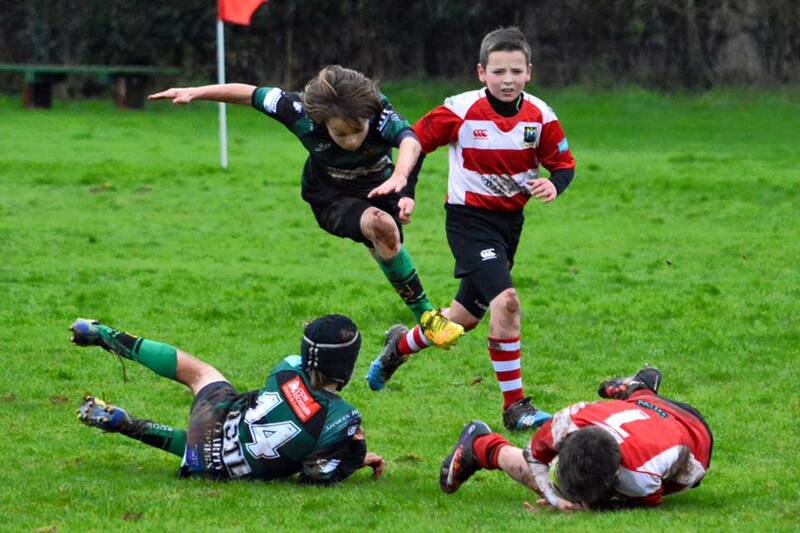 Not exactly textbook tackling, but if it works….. The game started well, and it was clear that the boys from both teams were there to play, if only they would be allowed to. Constant nit picking over minor issues at the lineout and scrum meant the game became quite disjointed whilst the interpretation at the breakdown left the boys and the coaches somewhat bemused, but more often than not ending up with the Rocks conceding ‘penalties’. When the boys of both teams did get the opportunity to play, the game was fascinating. We know that Llandaff have a good disciplined back line, so during our pre-match conflab, we had asked the boys to carry the ball up the middle for several phases before thinking of releasing our backline, whereas Llandaff tended to try and get the ball to their main strike runner in the three quarters as soon as possible. Both teams had some success, but each seemed to have enough of a defensive answer to negate the other. The principal problem for the Rocks was the interpretation at the breakdown, where Llandaff were allowed to slow or stop Rocks ball despite their players clearly being off their feet time and again, and this stifled our attempts to attack close to the breakdown. The freedom given to the choirboys back row told and eventually they broke away and scored just before half time – 5-0. The second half was more of the same really. Llandaff managed to break through and score early taking it to 10-0, but the Rocks got back into the game and started to exert some pressure. We started to win more ball in the contact area and things were improving before an unfortunate clearance handed the ball to Llandaff and they took the opportunity well, stretching their lead to 17-0. The boys kept battling though, and were having more and more possession and go forward. 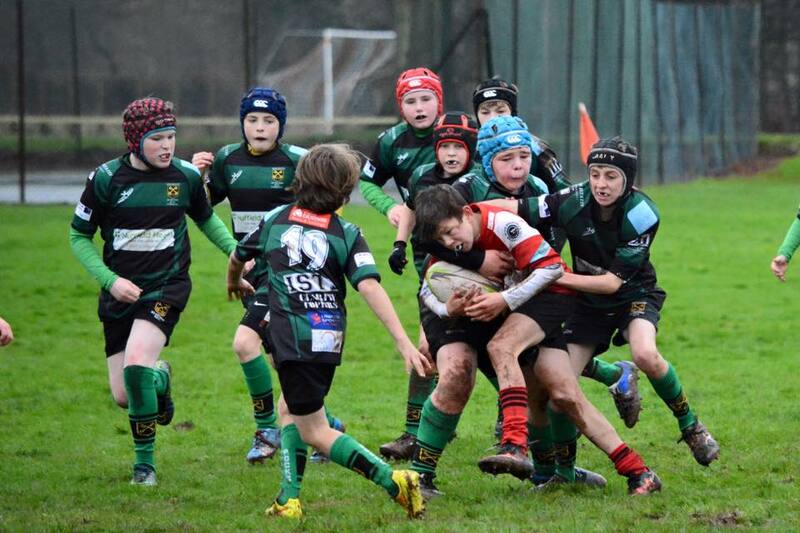 The pressure told and Iwan darted over for real scrum half’s try. The boys were on top now and looking to try and win the game as they realised they could boss the breakdown. 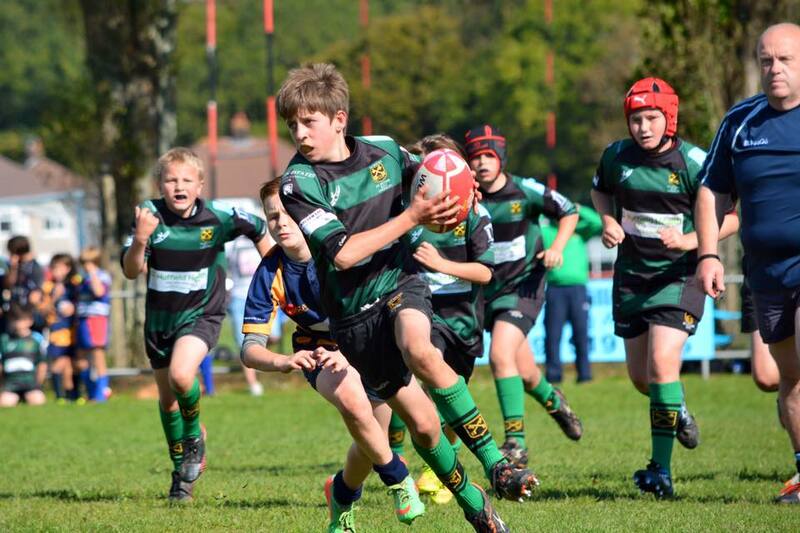 They worked their way upfield well and were 3 yards from the line when Llandaff intercepted a pass and ran the length of the field to score. The score didn’t really reflect the closeness of the game today, but the boys came off the pitch somewhat confused and frustrated by the decisions. All in all, it was a decent performance and there was plenty for us to take forward next week. It did highlight the need to put the district tournament victory behind us and concentrate on each game as they come. 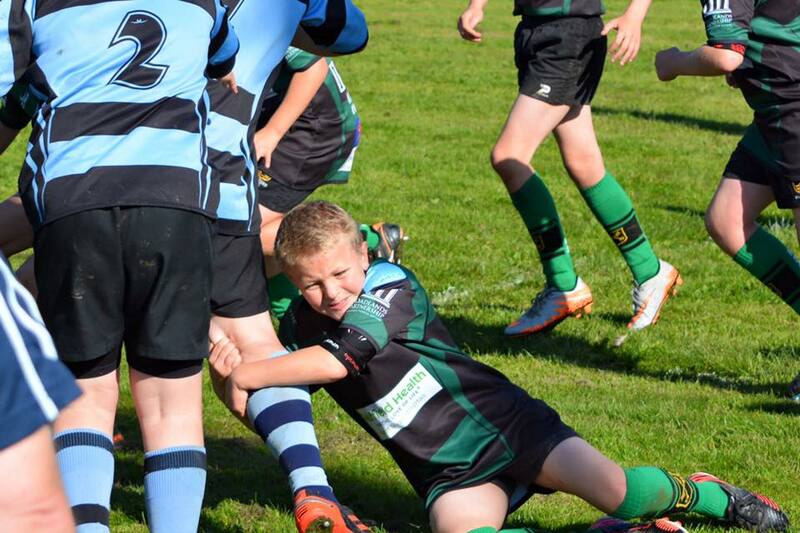 As someone who referees often myself, I’m fully aware that we don’t have all seeing eyes or x-ray vision to see what’s happening on the blind side of a breakdown, but clear misunderstanding of the breakdown and a lack of empathy with the flow of a game is particularly frustrating and quite confusing for the boys. 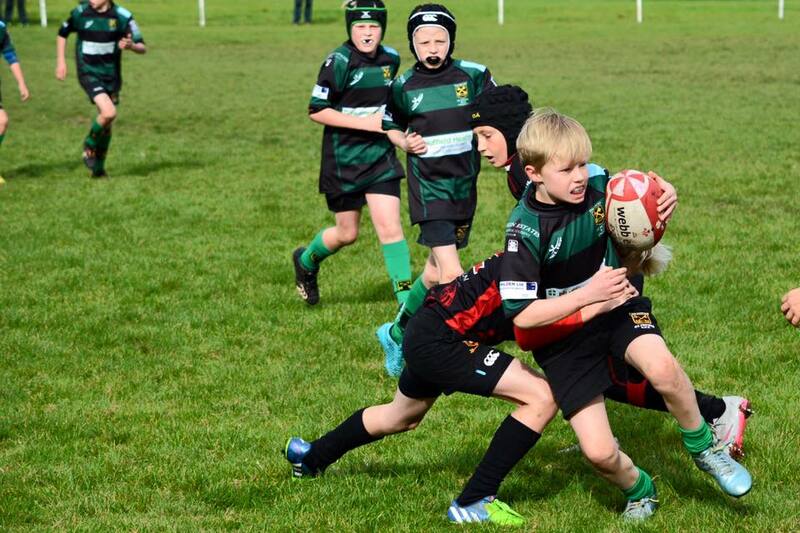 Nevertheless, lessons can be taken from it, and an ability to adapt to play the ref is something that the boys will need to become more aware of as we progress through the age groups. Dan (lastman) Herbert for a superb all round performance on his first outing in at full back, tackling with real bravery and not putting a foot wrong during the whole game. We all woke up in the afterglow of the night before. Wales had completed a fabulous, brilliant, ridiculous, awe-inspiring and historic victory over the Orks in the heart of Mordor and everybody from the red side of the border turning up at the tournament seemed to be wandering around on fluffy clouds of joy – good thing too, since there were a few sore heads around! There was also a rumour going round that Barry John had had a quiet word, and the rugby gods had arranged to have the moon turn red in acknowledgement of our great victory, but that was never going to happen was it? 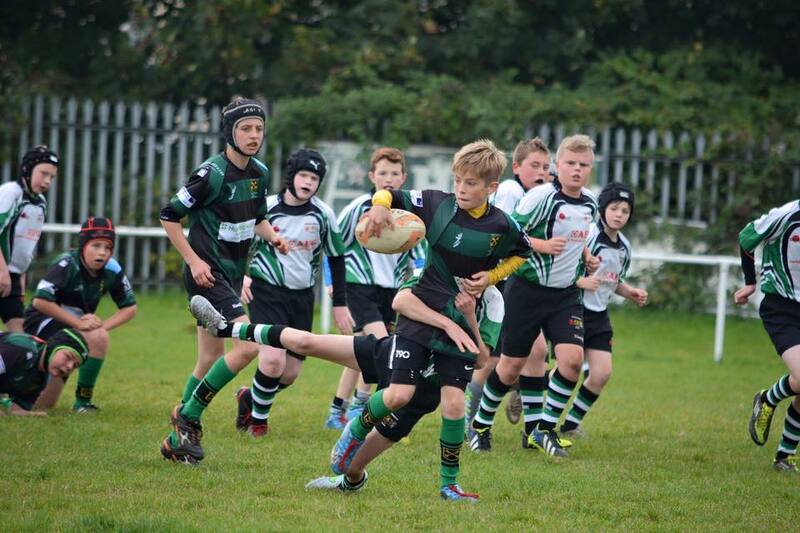 Never underestimate the power of rugby……. 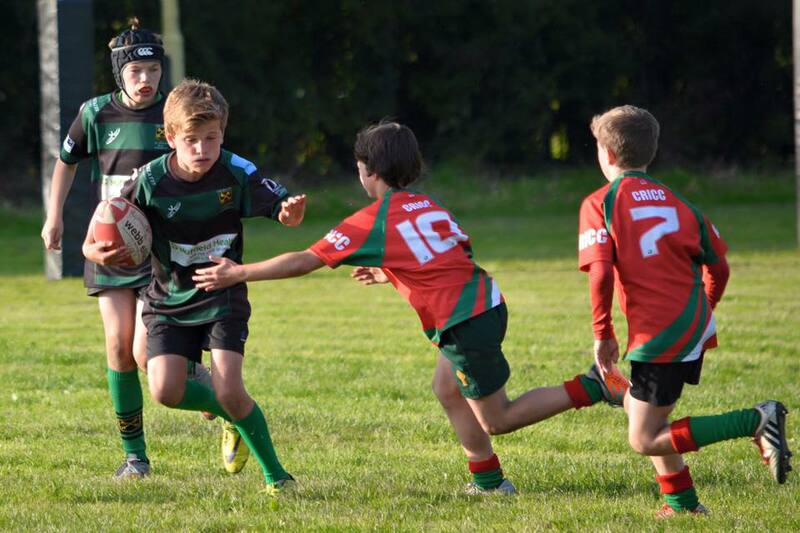 Anyway, after the excellent aperitif served up by Wales last night, it was the time for the Rocks Under 12’s to put on the main course and see what they were made of against all of our local district sides. 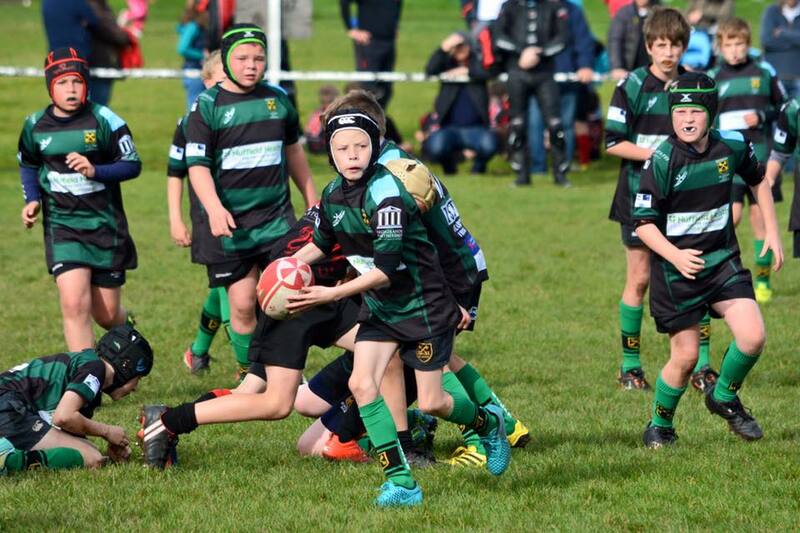 11 sides turned up, including all the main sides in the district, so we knew that despite the season only being 3 weeks old, the competition would be fierce as there are very few poor sides in what is the hotbed of Cardiff & The Vale junior rugby. 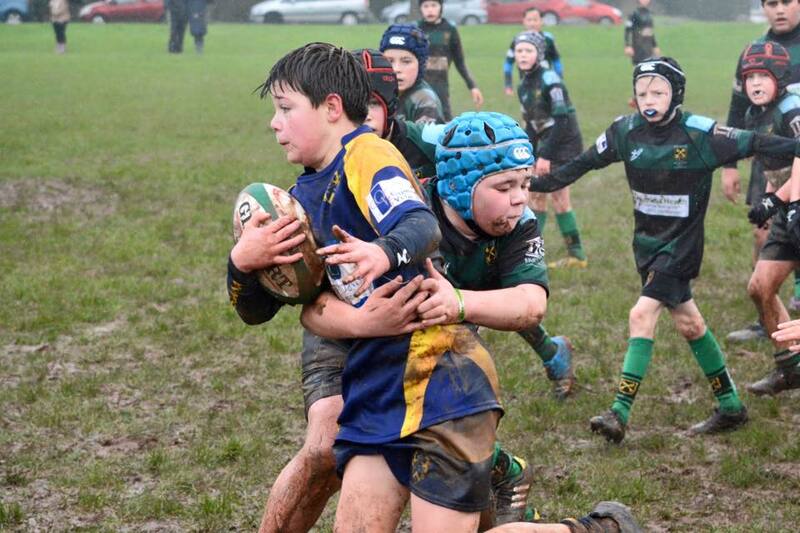 After the draw was set, we were in a pool of 5, and playing our matches on Rumney’s firsts pitch. 15 minutes per game, no half time and no conversions. So the first game was to be our local derby, which always adds a little extra spice. Many of the boys are very friendly as they go to the same schools, so it was good to see the game played hard, but in good spirit. 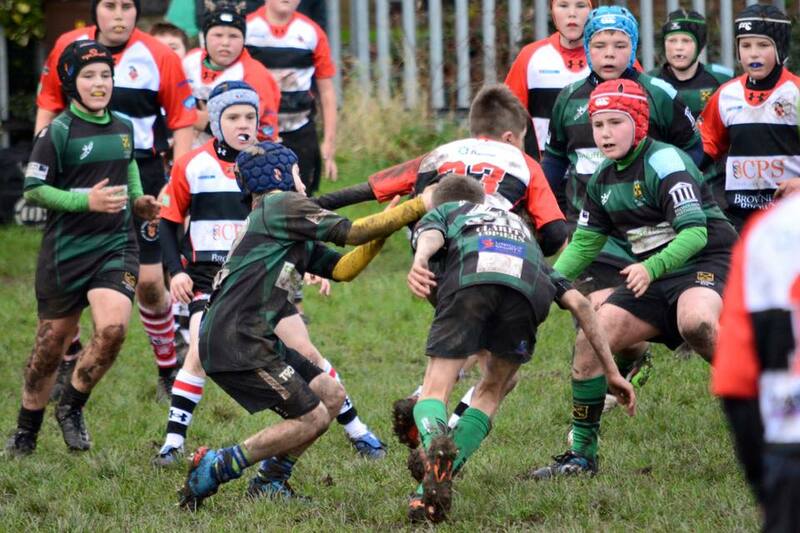 Our games against Rumney are usually quite tight affairs as the teams are well matched. 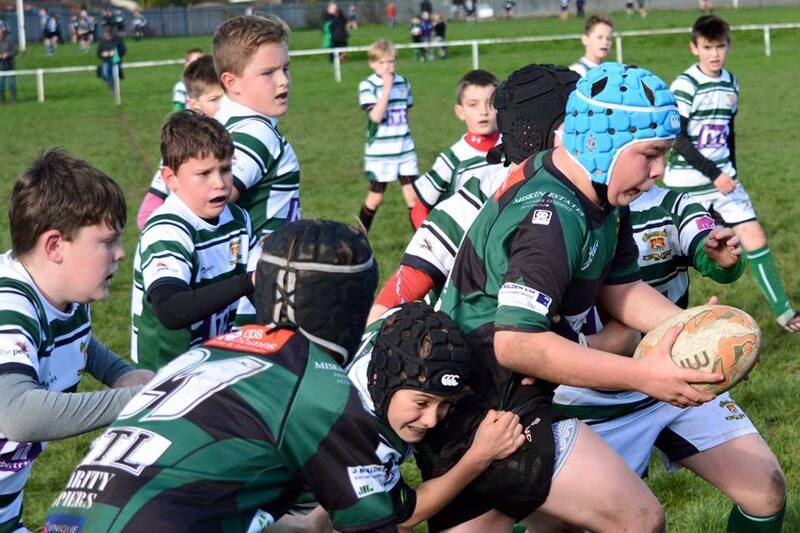 Traditionally Rumney may have the slight edge up front as they tend to have some bigger boys, but we all know size isn’t everything, and when our boys are on, they are on! 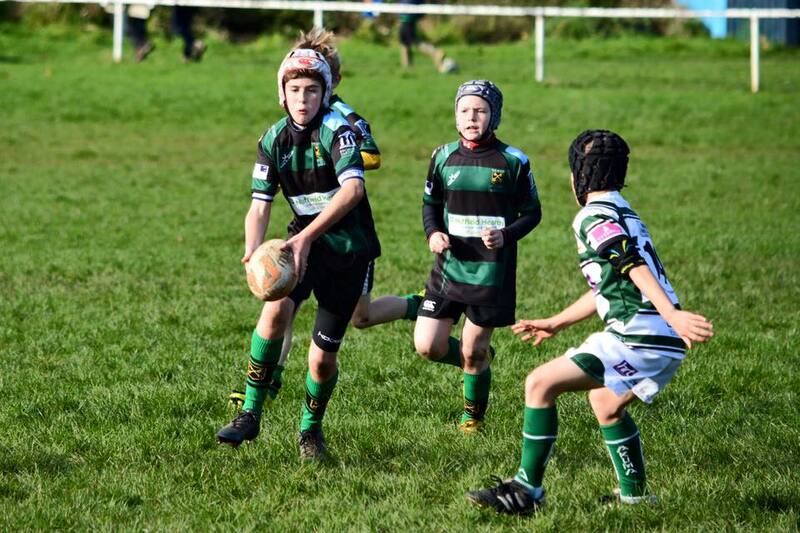 The Rocks started well and put loads of pressure on Rumney – our defence was rushing up in good order and were soon forcing Rumney into errors behind the gainline. The forwards took the ball down the right and following a penalty Ben D put in a charge from deep alongside the ruck (just as we’d practiced in training on Friday) and scythed through the Rumney defence like a hot knife warmed by dragons breath through a packet of home counties Country Life to score a great try. After that, the game was very tight and rarely left the middle of the pitch with the exception of a short period where the Rocks were being penalised mercilessly at the breakdown (the penalty count was 10-1) though we couldn’t make out why the decisions were quite so one sided. Regardless, the boys stuck to their task and didn’t let it get to them. The on-field decisions taken were the mostly the right ones and the boys managed the game quite well and defended like ROCKS. The wall went up and there were no gaps and soon enough we were back in Rumney’s half and coping with their best efforts quite comfortably. It was a decent start and something the boys could start to build on – any win is a good win, but there was still plenty to work on if we were to progress out of the group. 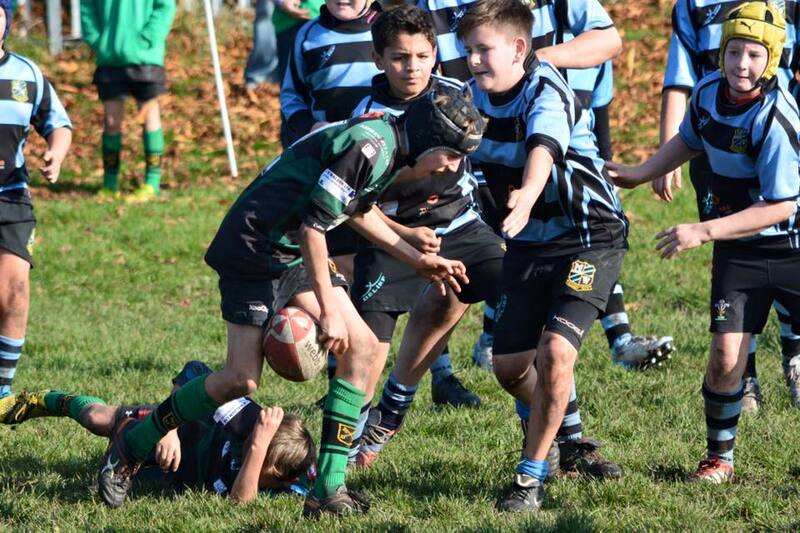 Good ruck won, now where’s that ball gone….? Having been well and truly spanked by Llanishen a couple of weeks ago, this was a great opportunity to try and re-establish some pride in our performance. 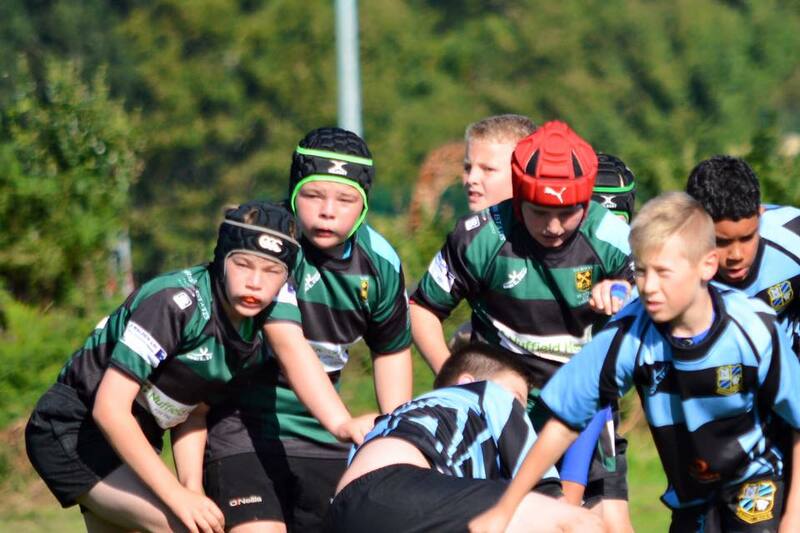 Llanishen were on a different level to us that day and the boys let it get to them, but we’ve put a lot of work in over the last couple of weeks and really started to gel again as a team. It was clear from the outset that the boys were determined to try and put things right – they walked tall with a steely glint in their eyes and we could tell that they would bring the thunder. 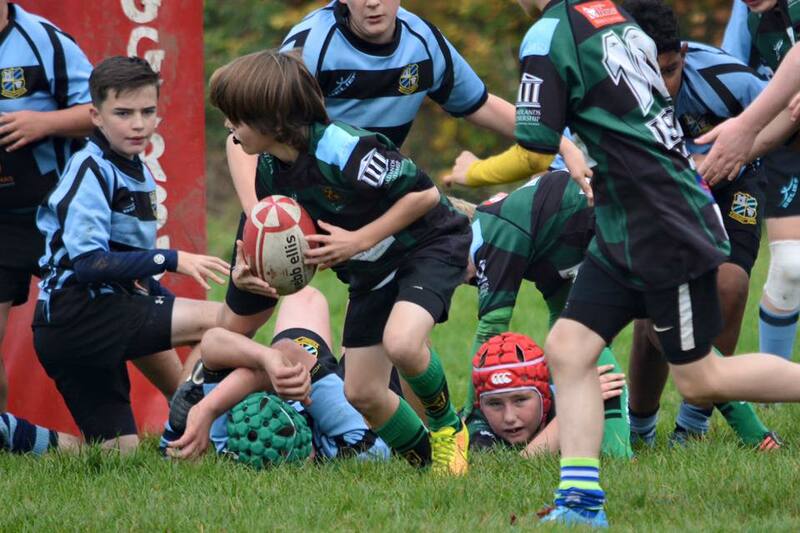 From the outset, Llanishen tried to play their usual expansive game, but this time the Rocks were all over them. Time after time the Llanishen backline were knocked over behind the gainline and the Rocks started to squeeze and apply the pressure. 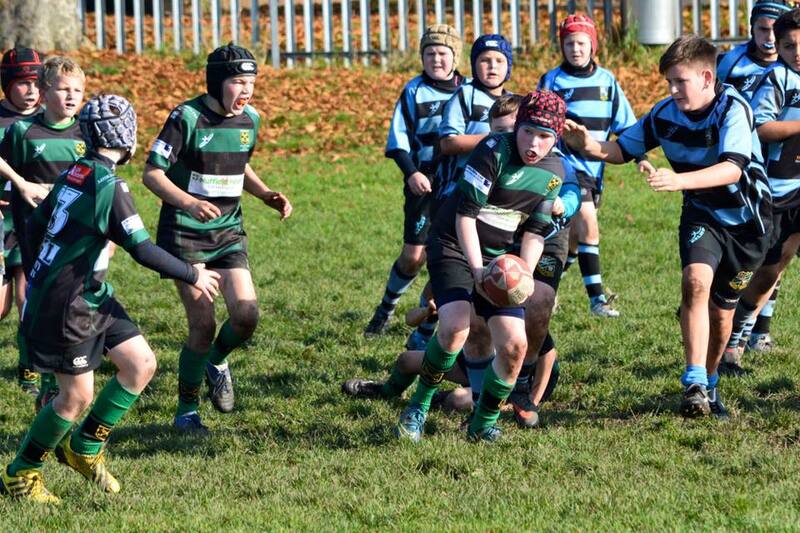 We stifled every attempt Llanishen made to break free and the boys started to put our gameplan into place, running hard and up the middle into what we saw was a slightly softer underbelly. Our backs tackled them to a standstill and the forwards piled in to breakdown after breakdown. We turned over ball and had the dragon’s share of possession and territory, but at this early stage in the tournament both sides were fit and able to cope with the pressure. Neither side spent any meaningful time in each other’s 22 so scoring opportunities were few and far between. Both sides had to settle for a stalemate. The result was a fair reflection of the game, though I felt that we had the better of it. This was a massive step up from 2 weeks ago, and all of a sudden you could see the boys starting to believe that something special could happen today. There’s no way through there! 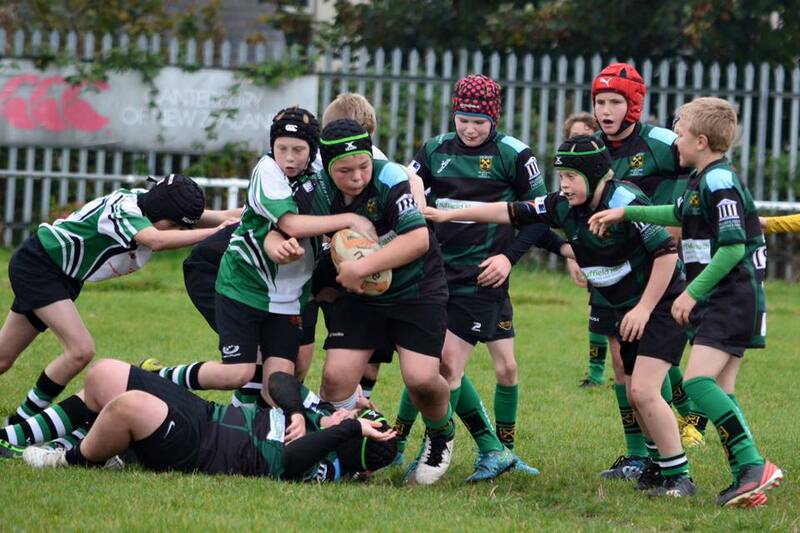 If Llanishen are a team that have most of their strengths out wide, Dinas hold most of their trump cards up front with a brawny pack full of big lads – there must be something in the Cadoxton river to create so many of them! The game plan in this instance was to limit our forward carries to two or three before releasing the backs to make use of their pace and ball handling skills. The plan worked a treat as the boys span the wall wide first one way and then the other. Eventually we worked an overlap on the left and debutant Zak cantered over the line, only to accidentally knock on in grounding the ball. 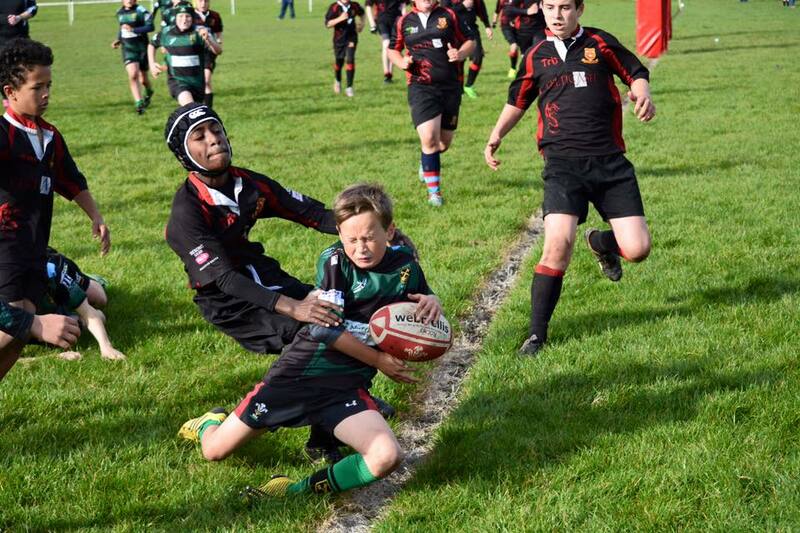 Dinas were able to clear their lines but the rocks were soon creating overlaps again, this time on the right and Harry crossed the try line only for lightning to strike twice and the ball was knocked on again in the grounding! 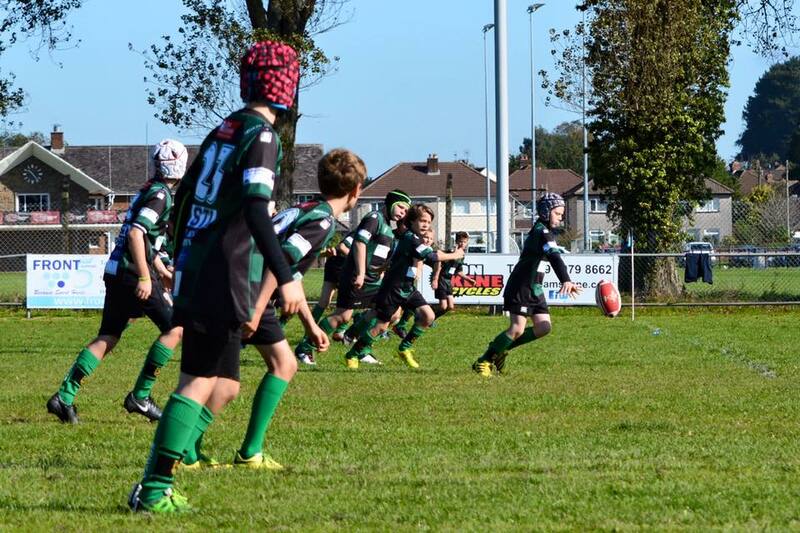 Whilst it was frustrating, the good thing was that nobody panicked and nobody pointed a finger, they just seemed more determined than ever to score, and sure enough that determination turned into points as Harry made up for the first error and scored 2 tries that counted and Zak got his first try for the Rocks as well. This was a superb performance as the boys really raised the bar even higher. Dinas are a good side, but our performance in this game really showed the boys skills, and showed us coaches that they are able to execute a game plan effectively. 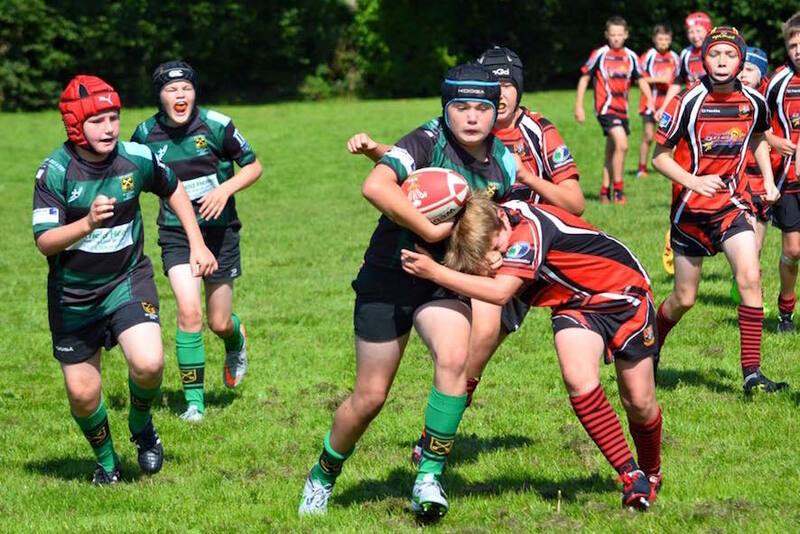 Our final game was against a Penarth side that hadn’t won all day, but we know them to be a good side and many of their pool games had been close affairs, so the boys were warned to be wary of the wounded animal looking to try and salvage something from the day. This was another good game that proved to be the tough encounter we coaches expected. The Rocks dominated from the outset, but all the challenges were fierce and the game was played at a high tempo. There didn’t appear to be any chance of the Rocks losing the game as we dominated possession and territory, but we were made to scrap for every yard and ruck. The boys were definitely up for the challenge as they knew that there was a semi-final place in the offing. 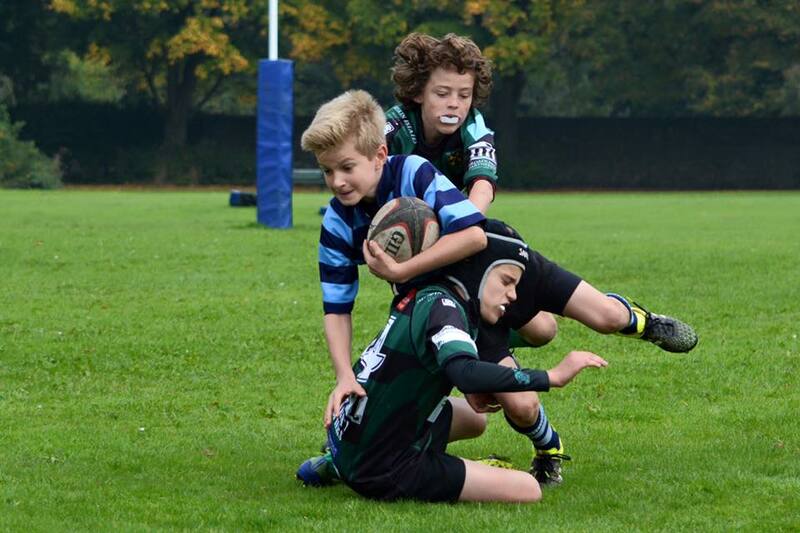 This was a game where the forwards were able to demonstrate some of their hard running and offloading skills and first Jack, and the Harri scored brilliant forwards tries. 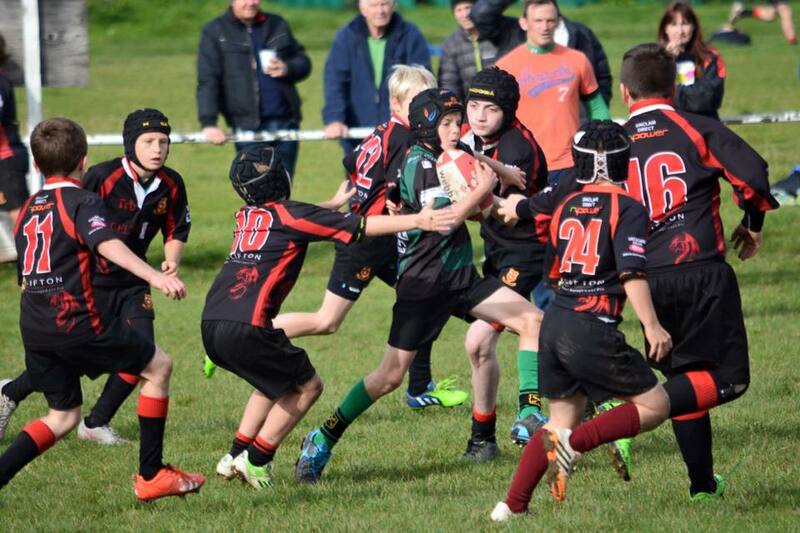 The boys dug deep and played to the last second, knowing that they were through to the knockout stages. Yet another terrific performance by the Rocks who by now were quietly confident and had started to develop a bit of a swagger, but one that was tempered by the knowledge that we had qualified second from our pool (on try count) and would therefore have to play the winners of the other pool, Llandaff. The trap closes…. turnover time….. I believe that the choir boys have swept all before them so far this season and we know they are a positive hard running side with some very quick and powerful runners all over the park – many of whom dwarfed some of our lads. This was a clash of the titans as the sun began to sink low in the sky. It was a truly epic match, played at a relentless pace. Both teams made use of their strengths and both had their turn on the ball. 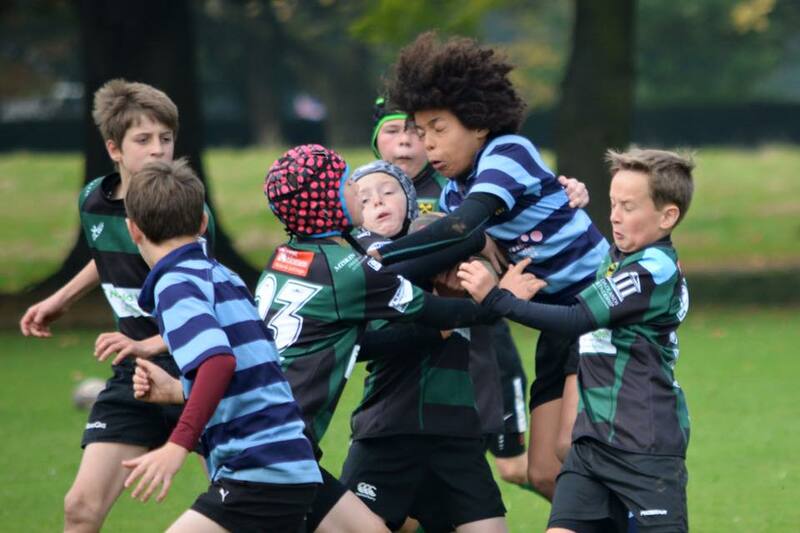 Llandaff are a team used to cutting sides to ribbons and scoring plenty of tries, but the Rocks were a force of nature – they tackled the Llandaff backline to a standstill, and time after time we gained ground without the ball. The match ebbed and flowed, time seemed to whizz by in a blur of tackles, hard yards, great turnovers and solid rucking, until the ref blew that time was up with no score. 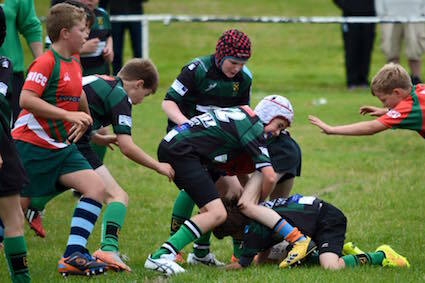 The match went into a further 5 minutes each way of extra time with a golden try rule, so the boys put their scrum caps back on, bit down hard on their gumshields and went at it again. Both sides gave absolutely everything – it was a contest worthy to grace any pitch in the land and when the final whistle blew there was still nothing left to separate the teams. The only thing that could separate them was the toss of a coin. Its unfair, its unjust, its not right – neither team deserved to win or lose based on something quite so random following the feast of quality rugby they had just served up, but them’s the rules. You can only commiserate with the Llandaff boys who had battled so valiantly yet had to go home with nothing on the toss of a coin, but the Rocks had managed to make it through to another district final after falling short for the last two seasons. 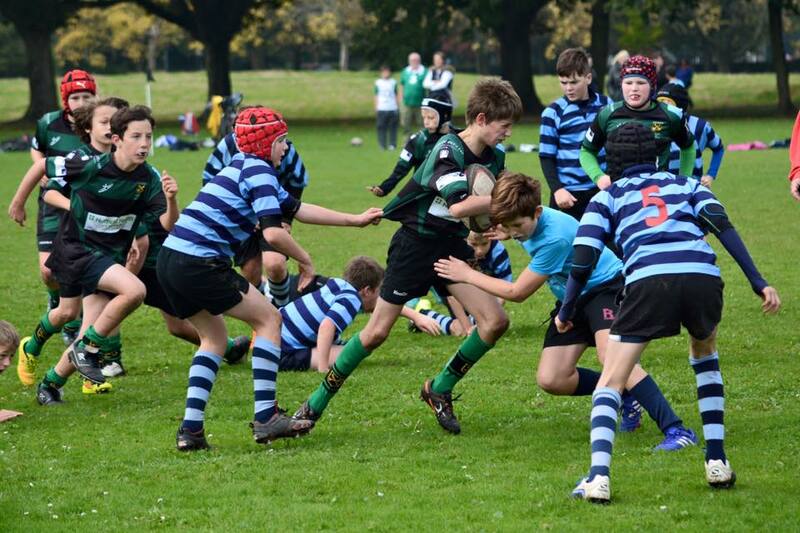 There was literally nothing between Llandaff and us, but I felt we had a little more control and played more rugby in their half so felt on the balance of things that we probably deserved it. 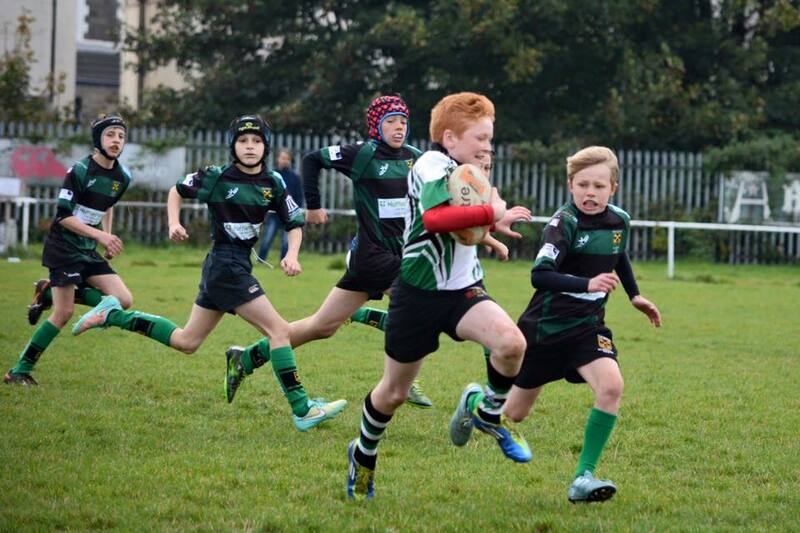 Most of the boys were spent, and trying to get them back in a fit shape to play a well rested CRICC side that had beaten Llanishen in their semi was going to be a challenge. Grip like a monkey’s uncle….. So, there we were. Finalists again. The shadows lengthened as the glorious indian summers day slipped towards early evening. Not a cloud in the sky and the air was totally still as the Rocks lined up one last time to throw the dice against CRICC who had beaten us only a fortnight earlier. This time though, there was a score to settle, and as Stu said during our pre game chat, its rare in sport that you get an opportunity to write a wrong so soon. The Rocks had heard CRICC cheering them on during the semi final and heard them say they thought that we were easier opposition – that was manna from heaven to our boys, it was their time to step up to the line and show how much heart and desire they had. It should have been easy. Our boys were dead on their feet after the semi-final. The opposition had the comfort of a recent victory to bolster them…….. then, after a moment of total silence the whistle blew and the Rocks came out of the blocks snorting fire and brimstone. It was blood and thunder and noise and desire without a backward step. It was a moment for heroes and each and every Rock stepped up and quite simply blew CRICC off the park. We won virtually every contact and bossed each and every ruck. The support play was outstanding and the ball came back cleanly and quickly time after time giving our backline the time and space they needed. The hands were exquisite so the ball quickly reached the wing on numerous occasions during the first half, and Zak and Harry took great delight in skinning their opposite numbers and running in to score. By half time we were 15 points ahead. The Rocks had their tails up now and could smell victory, but had to be wary since we know CRICC are a good side. Try as CRICC might, and they really did, the Rocks had an answer to everything they tried and were able to push on and apply the pressure. There was a break down the right and the forwards got there in numbers to secure clean ball, but CRICC’s scramble defence was good, but James B picked up and showed why we call him snake hips as he somehow squirmed one way and then the other throwing dummies as he went before dotting down over the line. The Rocks then closed the game out and celebrated like the champions they deserved to be. We managed to get everybody on in the final, which was fantastic since every single one of them had contributed so much to get us there. The one thing we know about our lads is that when they come together as one, they really are a fantastic TEAM. We are not a team that relies on a few super talented individuals – we are a whole squad of players able to step up and do a job for our team. When players come off and others slot into that position, they may offer something different to the other player, but they don’t offer weakness. Our unity and general team performance is our big strength and long may that continue. I’ve been thinking about our player of the tournament, but I just couldn’t pick one. There were many who stepped up and played absolute blinders today, and each and every one of the boys can be proud of their performance since each one contributed to the victory. 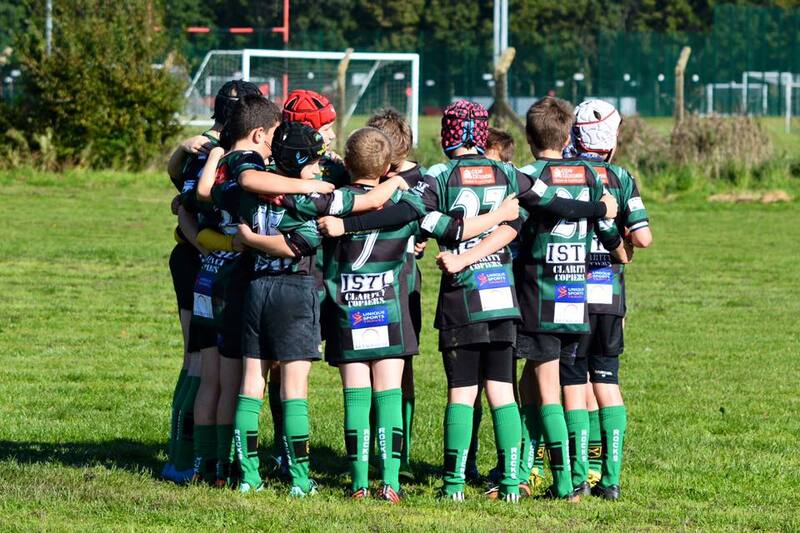 It was nice to hear that word had got around about our performance – the best quote I heard was from one of the Pentyrch coaches who said he’d heard that we were ripping up trees as we went though the pool stages. And indeed, we were – going through a whole tournament without conceding a single try is an epic achievement – in fact I don’t think anyone got within 10m of our line all day! ITS NICE TO ONCE AGAIN BE CROWNED DISTRICT CHAMPIONS FOR THE THIRD TIME IN 5 YEARS – it feels like the title has come home……. Who are we…? ROCKS ! What are we…? ROCKS ! Through a whole lot of luck and some great friendly gestures, we’ve managed to acquire some tickets for the whole squad along with a few parent chaperones to go to the Millennium Stadium to watch New Zealand v Georgia in the World Cup this Friday. It’s always a privilege to watch the All Blacks play and the Haka is always a fantastic spectacle, so I hope that most of you can make it. There will be separate e-mails etc. to organise properly. Ps guys – don’t forget to look up our facebook group where John and many others share even more photos of the team……. Yet another nice Sunday morning as we had our first home game of the season and welcomes CRICC down to the Harlequin. After last week’s below par performance, the coaches made sure the boys were properly prepared this week with a serious warm up to help get their heads in the right place. We seem to be a little short of forwards at present following the transfers that have happened over the summer, having lost several forwards and gained several backs. We are certainly going to have to look at switching some of the boys out of position for a portion of the season at least to help cover positions. Our games with CRICC are usually pretty close affairs with both teams happy to use their backs and the aim to exploit the full size of the pitch. The Rocks started much better today and were competitive from the off, taking the game to CRICC whose well structured defence was quite adept at soaking up the pressure and gaining their fair share of turnovers. The game was really tight, but the Rocks seemed to have the edge. We enjoyed far more possession and field position, but somehow couldn’t turn the pressure into points. Both teams were combative in attack and defence, but CRICC were able to capitalise on our infringements, whereas we were banging on the try line time after time, but failed to cross the whitewash before losing possession. CRICC score two fine breakaway tries, but I still find it hard to believe that we lost having dominated so much of the game. I guess that’s just the way sport goes sometimes, which is actually why we love it, but maybe a little bit less when it happens to our team! This was a much improved performance from last week and the effort and desire shown by the boys was exactly what we are looking for. We were let down a little by minor execution errors, which you are far more likely to have at the start of the season and also from a bit of a lack of straight running in the backs. In the first half we were guilty of trying to get the ball out too soon, which enabled CRICC’s defence to cover quite easily, but the pack started applying more pressure in the second half and were bossing a lot of the breakdowns, but we just failed to capitalise. It was a vast improvement on last week, and with a few more weeks under our belt, I’m sure we’ll get back to the levels we were achieving at the end of last season. 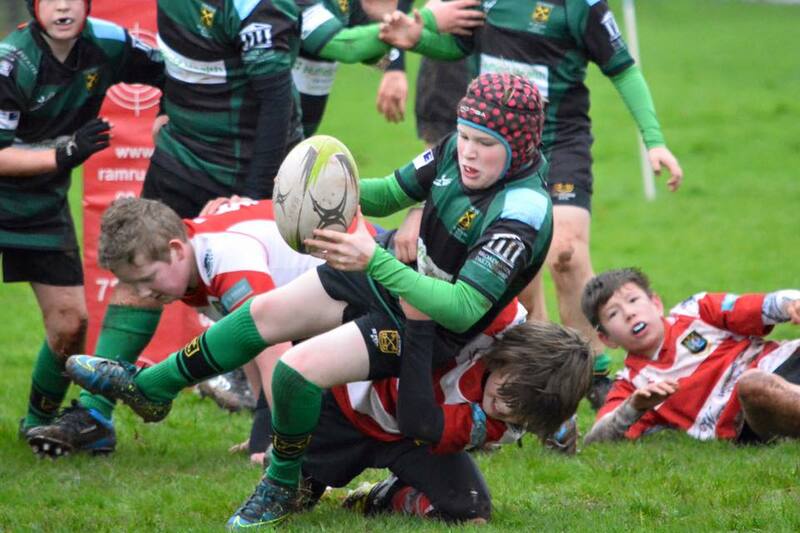 Cai (thejackal) Day for a superb all round performance on his first outing in the back row – looks like we’ve found his proper position. The weather couldn’t have better, it was shades and shorts all around, so I hope you all made the most of it, cos we probably wont see that big yellow orb again until April now that the rugby season has started. Turnout was high for our first game of the season and everybody was looking very smart in their new shirts. This season we have moved on to 15 a side rugby on a full pitch. With the exception of the lineout and a few other minor things, this is virtually the same game that the grown ups play, and when your 11, that pitch is pretty big! Following a few August training sessions, we’d had our first full training with most of the squad there on Friday, and it had gone pretty well, but there are a whole host of things to get the boys used to. 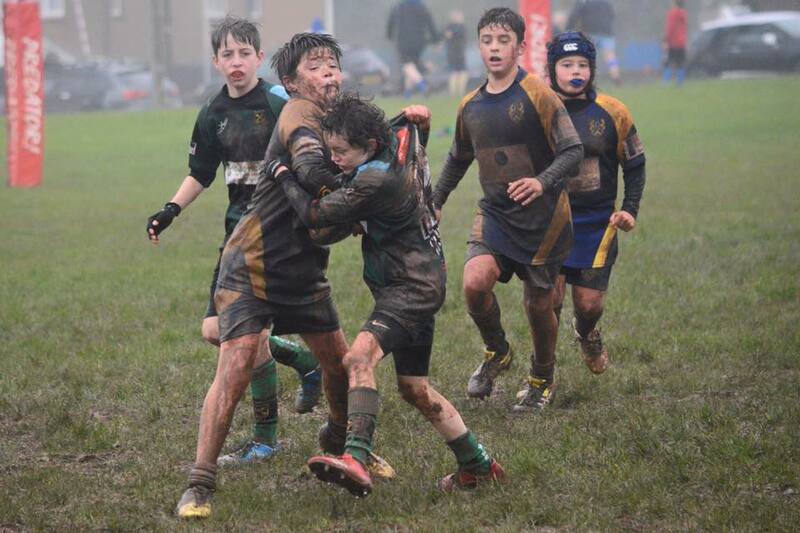 It really is a different game this year with an increased emphasis on structure, organisation and controlled aggression in contact as the boys get older. 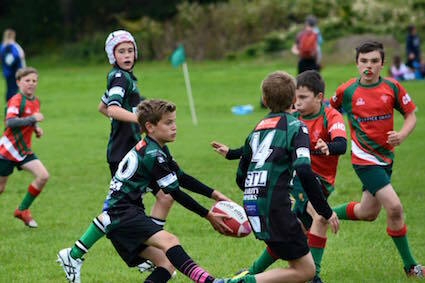 Llanishen welcomed us up to Rhydypennau park – its always nice to play Llanishen, since they’re a good crowd and they play attractive rugby. To say the boys were a little rusty is quite an understatement, and despite some things going fairly well, we were second best in many departments. 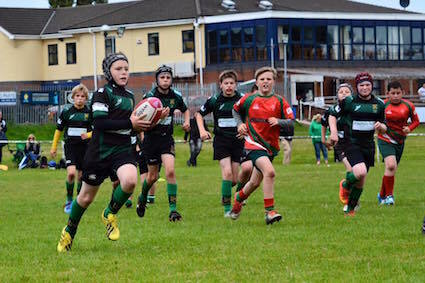 Llanishen seemed generally sharper and more up for the game, and in the first few minutes we had a couple of panicky looking moments where poor decision making or execution cost us. Against some sides we may have gotten away with it, but Llanishen are developing into a very tidy side and they punished each error. Before long we were 4 tries down and the boys heads started to drop. We barely touched the ball during the first half, and when we did the errors cost us dear. The second half was a vast improvement and the boys came out showing a bit of fire and there were glimpses of the team that had a 10 game winning streak at the end of last season. The forwards upped their game significantly at the start of the second half, and all of a sudden we were running aggressively and bossing the rucks. 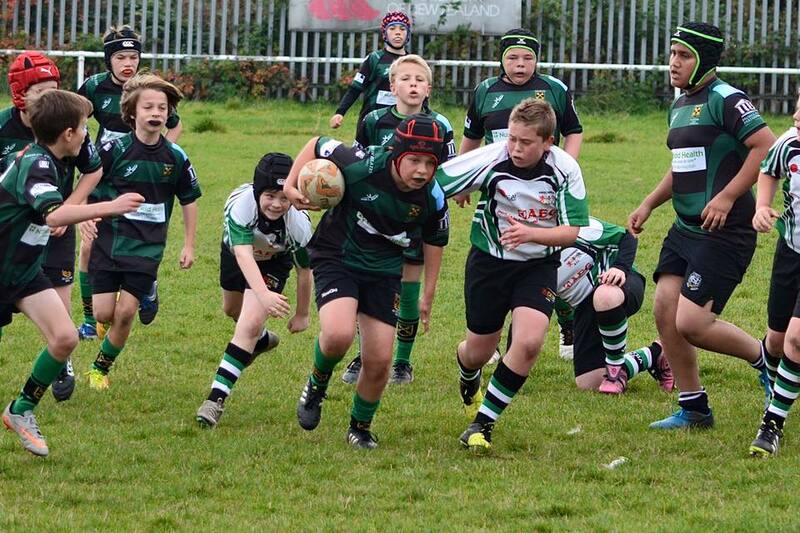 This play showed what we can do, and sure enough the pressure told and Dylan scored our opening try of the season. He swiftly got another after the forwards had another great drive, and the boys showed that with a bit of ‘go-forward’ we can cause damage. 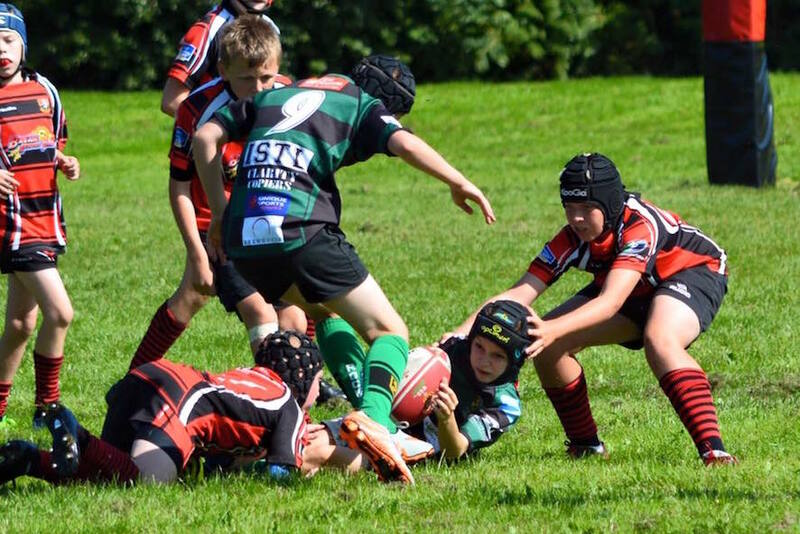 Unfortunately the errors kept creeping into our game and Llanishen were very adept at exploiting them with good handling and a particularly devastating centre who seemed able to drift past our defence and get in behind, which at this early stage of the season was catastrophic. 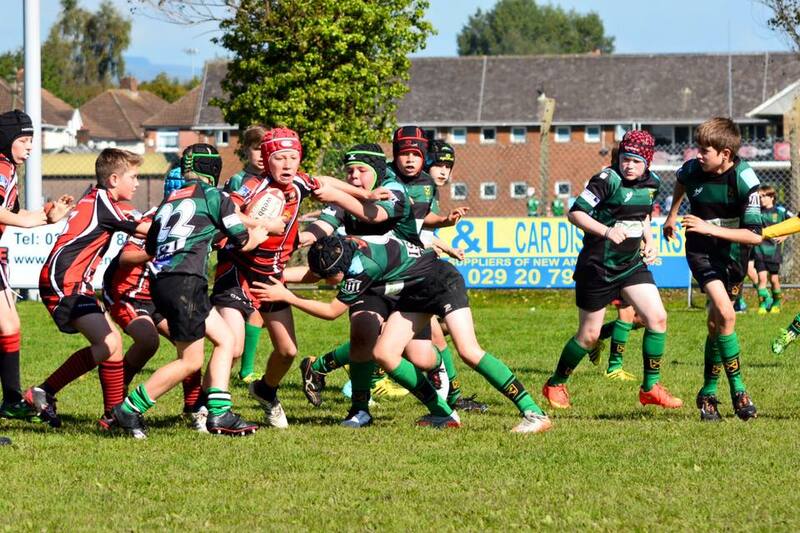 The boys heads dropped a bit more towards the end, and Llanishen were able to rattle in a 3 late tries. Whilst it wasn’t the start to the season we were aiming for, hopefully it will serve as a bit of a wake up call that we cant rest on the laurels of a good end to last season. There’s a whole host of work to do, but the good thing is that this was only the first game of the season and there’s plenty of time to put things right. We have a particularly challenging start to the season playing 2 of our district’s better sides in 2 weeks, followed by the district tournament…… I know, I know, its far too soon and whoever’s idea it was is crrraaaiiizzzzyyyy, but there we are. September will be pretty breathless, but then hopefully we can settle down in October and take stock and come up with a plan of action for the rest of the season. No MOTM was issued today, but special mention must to to Ben D and Dylan, who always went forward and got over the gain line when they had the ball.